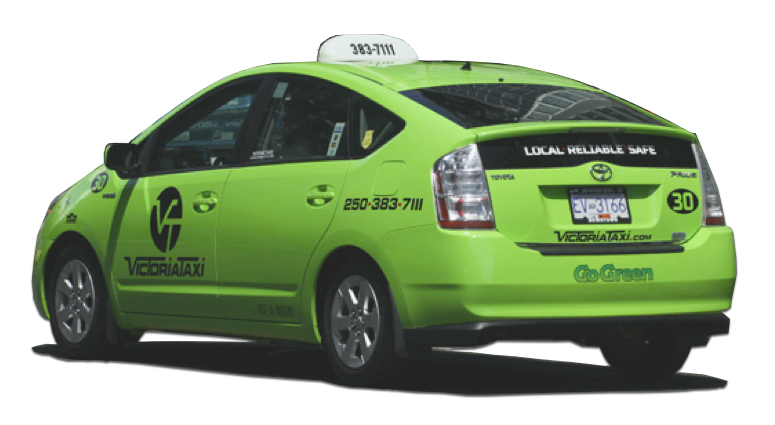 Victoria Taxi's Go Green fleet offers quick, courteous taxi service to Greater Victoria and the outer lying areas through our sister company Westwind Cabs. Because we are an owner-operated fleet our emphasis is on “that personal touch”, meaning the owners take extra pride in maintaining their vehicles to offer you a professional ride where ever you are going. 5 minutes away from you 24/7! Our taxis are on the road 24/7 to better serve the greater Victoria region, Victoria International Airport (YYJ) the seaplane terminal (YWH) in the inner harbour. We serve Swartz Bay ferry terminal for BC Ferries, the Anacortes Ferry for Washington State Ferries as well as the Black Ball Ferry Line for the Coho Ferry and the Victoria/Seattle Clipper Terminal. If you are busy at your desk and don’t have time to pick up the phone, simply visit our online booking section, complete the short booking form, and we can have your taxi to you in very little time. West Shore’s driving force is a commitment to work as a partnership of professionals to exceed the expectations of our clients. Since 1989 We offer quick, courteous service to the West Shore Community and the outer lying areas. Our cars are on the road 24/7 to better serve our customers.